Organization is key to being a great coach or player. 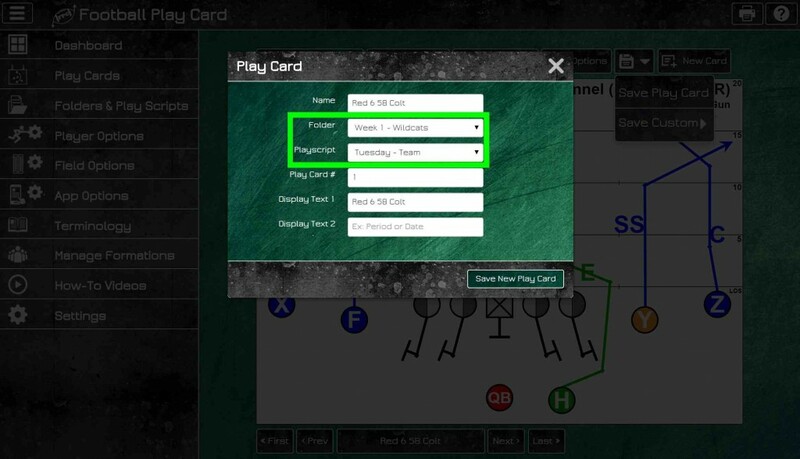 The ability to quickly locate plays for meetings and practices is easy using Folders and Play Scripts in Football Play Card. Play card organization is flexible so you can save play cards in a way that makes most sense to you. You can store all run plays in one folder and all pass plays in another and further separate play cards using scripts for each run or pass concept. 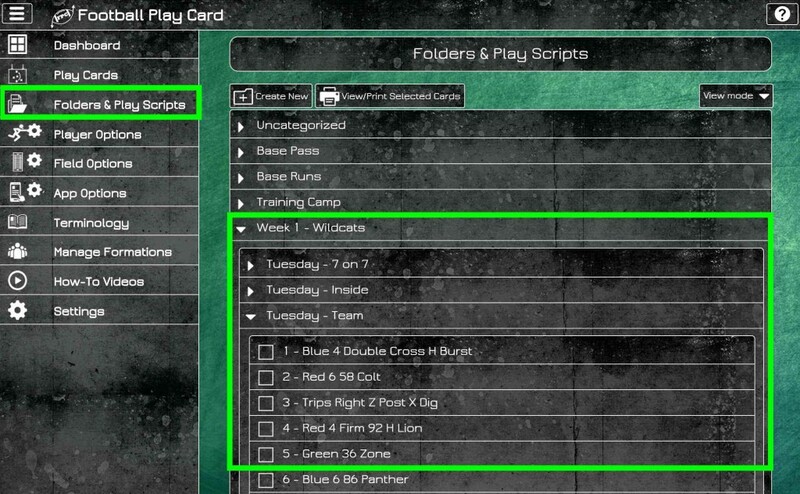 You can also use folders to save play cards for each opponent and use scripts for each period in practice. Log in now to start using folders and play scripts to organize your play cards and to check out all of the latest features and enhancements. 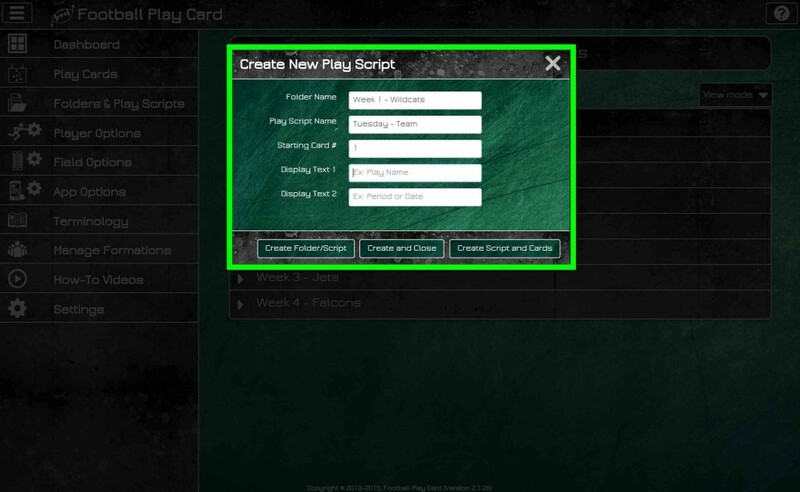 This entry was posted in Quick Tips and tagged Folders, Football Play Card, Organize, Play Card, Play Scripts. Bookmark the permalink.